The Soulcalibur IV fighter returns. Bandai Namco has announced Amy from Soulcalibur IV as a downloadable content character for Soulcalibur VI. A release date was not announced. Amy fights using her natural ability to outclass the enemy as a weapon. While her reach is short and her attack power low, she is equipped with fast, high efficiency skills. In her specialty close-range combat, she can even fight against opponents superior in physique as an equal or greater. Bandai Namco also announced a “Character Creation Set A” add-on that will launch on February 19. 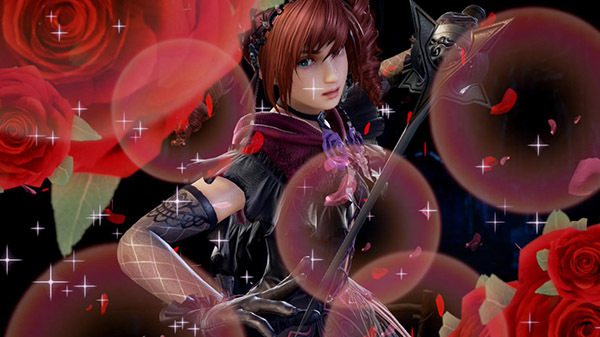 It will add a total of 67 additional character creation parts, as well as 17 battle background music tracks from Soul Edge and 11 tracks from Soulcalibur. Soulcalibur VI is available now for PlayStation 4, Xbox One, and PC. Watch the Amy trailer below. View a set of screenshots at the gallery.